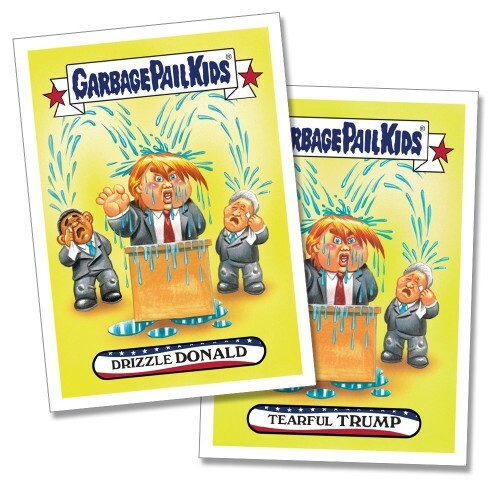 2017 Topps Garbage Pail Kids Inaug-hurl Ceremony trading cards poke at the culmination of a long political campaign. 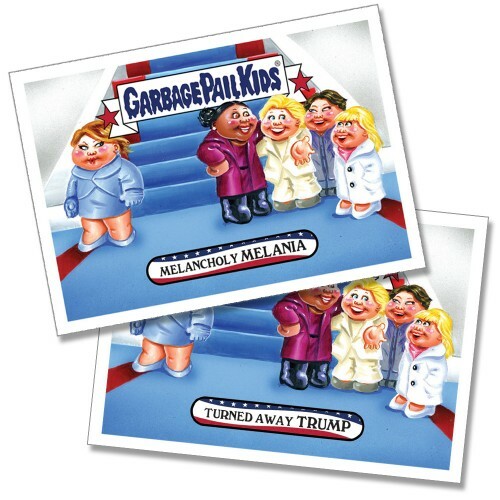 The small set is another in a long line of GPK online exclusives, this one available for one week. 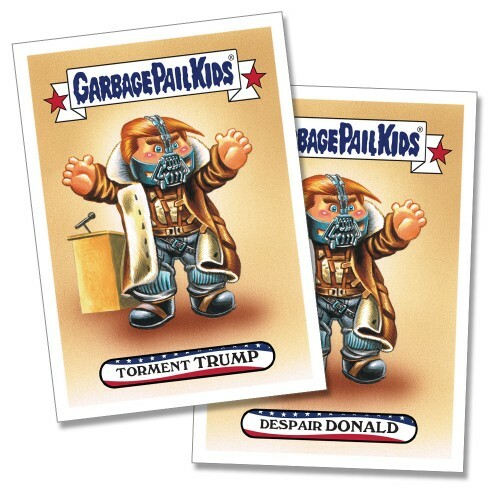 The 2017 Topps Garbage Pail Kids Inaug-hurl Ceremony checklist consists of 19 total cards. 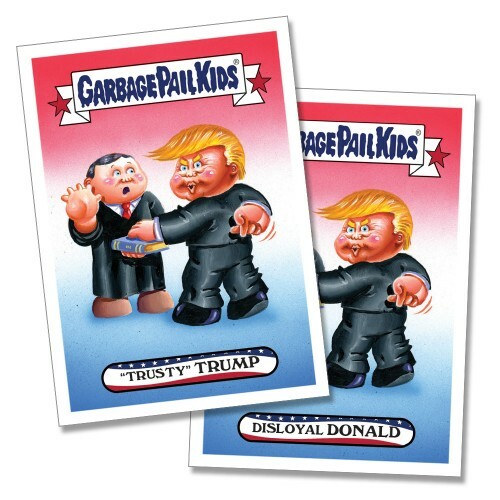 Eight traditional pairs of GPK name variations highlight Donald Trump as well as members of his team and family. 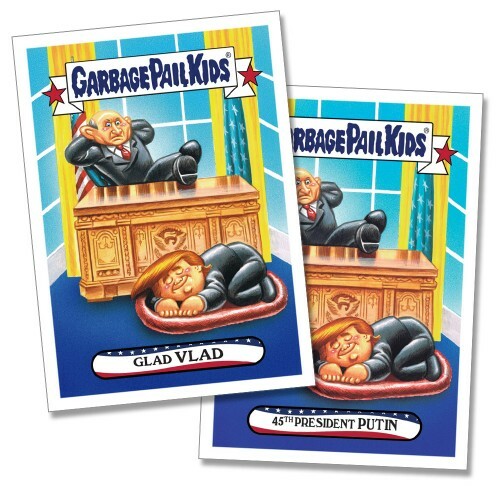 The set is rounded out by three Wacky Packages cards. 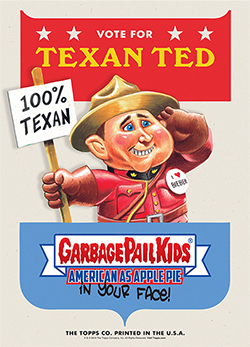 GPK pairs and individual Wacky Packages cards are available on their own for $9.99. 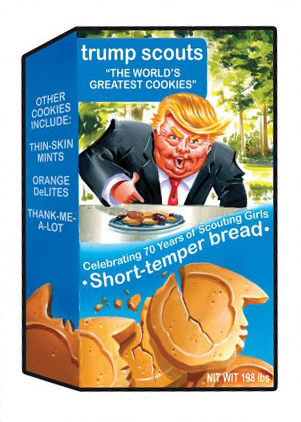 The full set of 19 cards is $49.99. 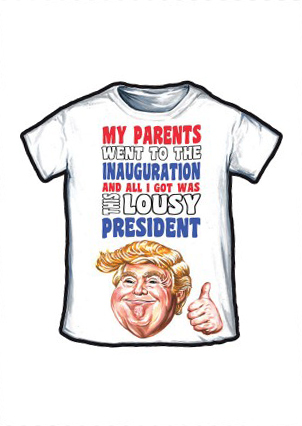 All will be printed to order. That means however many are bought during the initial sale will be made. 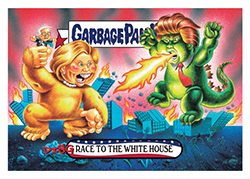 Topps has gotten a lot out material out of the 2017 Presidential Election. 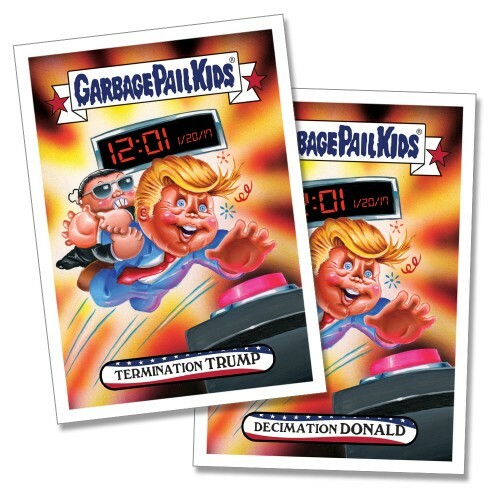 It started with small Garbage Pail Kids sets spoofing the Republican and Deomocrat primaries and continued on to the election and beyond with 2016-17 Topps Garbage Pail Kids DisgRace to the White House. 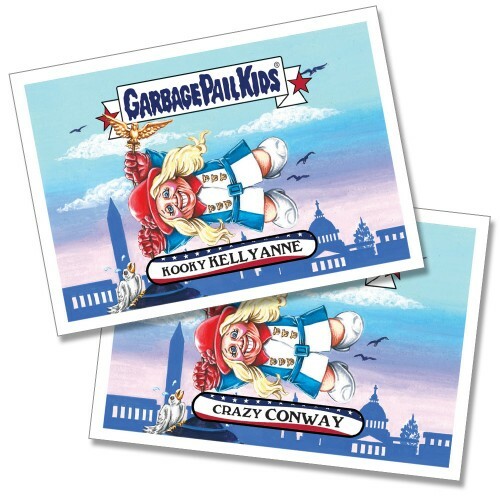 That ongoing line topped 150 total cards shortly before the 2-17 GPK Inaug-hurl Ceremony cards were released. 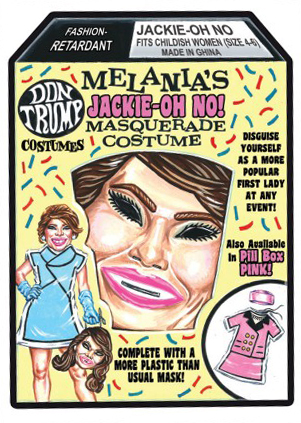 Print runs will be added once they are announced.